Turning a local business into a global business doesn’t have to be as complicated as it sounds. Ecommerce platforms like eBay have actually made that transition fairly seamless for entrepreneurs like Nicolaus Wolfrum. 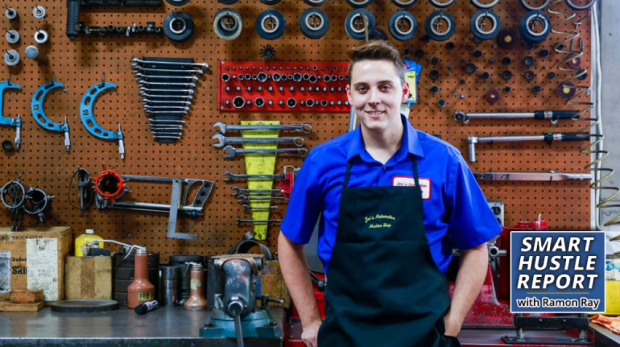 Wolfrum runs an eBay store for his dad’s business, Jim’s Automotive Machine Shop in Greeley, Colorado. At first, Wolfrum simply worked at the shop during breaks from college. But he soon realized that selling surplus parts online could lead to a whole new revenue stream for the business. To make this transition simple, Wolfrum turned to eBay. And he thinks that plenty of other small businesses can do the same. He recently spoke with Small Business Trends’ Ramon Ray about the initiative in our exclusive Smart Hustle Report.